—A device made by the Madison-based startup Swallow Solutions “may be an effective treatment for older adults with dysphagia,” a difficulty swallowing often caused by weak mouth and throat muscles, and could result in fewer hospital readmissions for patients. That’s according to a 56-patient study conducted through a hospital for veterans in Madison, and published in the Journal of the American Geriatrics Society. About a year ago, Swallow Solutions raised $1.1 million from investors to try to make a stronger push into the market with its device. —On March 11, MobCraft Beer will appear on Shark Tank, a show on the ABC network in which entrepreneurs pitch ideas to investors, co-founder Henry Schwartz and sales manager Nicholas Gleason announced. MobCraft has been able to grow thanks in part to crowdsourcing—fans have pitched in money, and can also suggest and vote on ideas for new brews—as well as more traditional sources of funding. The startup launched in Madison in 2012, but last year announced plans to relocate its brewing operations to Milwaukee. —Madison-based Redox, a startup founded by former Epic Systems employees that helps developers integrate with hospitals and clinics that use software from Epic and other vendors to manage patient health records, will pitch investors at the SXSW Accelerator, which takes place on March 12 and 13 in Austin, TX. Redox is one of 48 finalists, which were culled from more than 470 applicants. In October, the company raised $3.5 million in a Series A funding round. Redox was also part of the first class of TMCx, the accelerator for healthtech startups run by the Texas Medical Center in Houston. —Staying in health IT, the Rochester, MN-based Mayo Clinic will pay about $1 billion over five years to install Epic’s software and move Mayo patients’ records onto a single platform, the Minneapolis / St. Paul Business Journal reported. Mayo signed an agreement to implement Epic last year, and in January, Epic paid the health system $46 million for a data center near its headquarters. —Another Wisconsin company the Mayo Clinic works with is Exact Sciences, which said it will continue to work with Mayo on a test aimed at assessing potentially cancerous nodules, or clumps of cells, found in the lungs as a result of computed tomography (CT) scans or other imaging work. That statement follows news that the University of Texas MD Anderson Cancer Center will no longer be involved in developing the test. MD Anderson, which is in Houston, had also been working with Madison-based Exact (NASDAQ: EXAS) on a screening test for current and former smokers to determine the need for low-dose CT scans, which can be used to detect lung cancer. 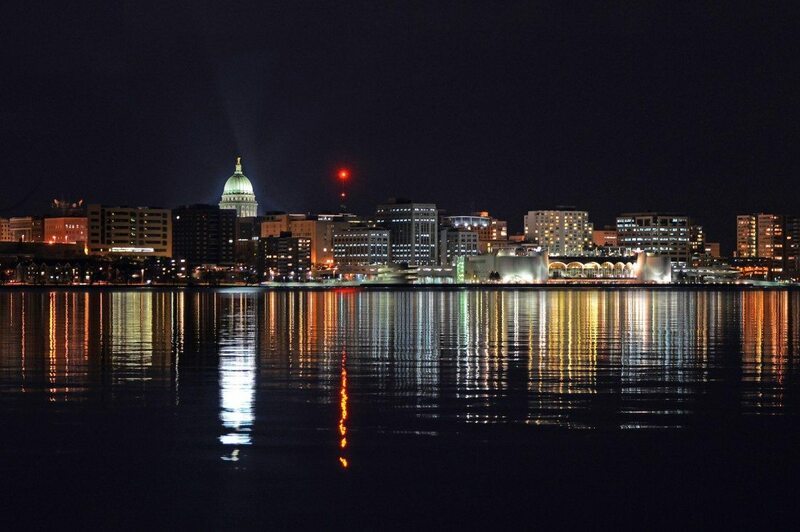 —Shine Medical Technologies received approval from the Nuclear Regulatory Commission to build a manufacturing facility in Janesville, WI—40 miles southeast of Shine’s headquarters in Madison—where the company plans to produce molybdenum-99, a crucial medical isotope. Shine must first obtain an operating license from the NRC, which Shine vice president Katrina Pitas said typically involves a review process of up to two years. Shine plans to break ground on the 57,000-square-foot structure sometime next year, produce test batches of isotopes in 2018, and be in full commercial production by 2019, she said. —St. Paul, MN-based Docalytics, which makes tools to track engagement with content and went through the Wisconsin startup accelerator Gener8tor in 2013, was acquired by New York, NY-based Contently for an undisclosed amount. According to a press release, incorporating features developed by Docalytics into Contently’s software will allow its clients to “generate and convert more leads, helping both sales and marketing teams tie revenue directly to content.” Among the other Gener8tor alums that have had an exit are Driblet Labs and Optyn.